There has been a lot of buzz about the growth of the fintech industry. A recent Venture Partners study showed that in 2014 the global investment in fintech was 6.8 Billion dollars up from only 3 billion in 2013. In the same study it shows that in now employs hundreds of thousands of workers across the country and makes up 7 of the Deloitte’s fastest growing 50 companies. It is definitely here to stay and now you can do everything virtually without needing the old stodgy banks. You can now open savings and chequing accounts, manage your retirement and investment accounts and get loans online. Here are the top companies that can take you from 2D banking to 3D. Zagbank.ca and Eqbank.ca have apps that you can download and open an account without seeing a human. Both have high interest savings amounts that are currently above the big banks savings rate and are user friendly. EQ Bank even has a saving goal feature of its app where you set up your goal and save for something more than just an account number. It’s way easier to save for a trio to France with Granny than just transfer money into a numbered account. I love this idea. There are a slew of online loan Fintech companies too, from personal to commercial. Online you can find out your credit rating and apply for an online loan from $500-$35,000 in some cases with interest ranging from 4.8% – over 20% interest. The hipster bank title seems to have been taken by Mogo.ca. You can design your pre-paid visa anyway you like, pay no fees, and easily upload funds to it. It prevents over spending by not allowing you to spend more than you have put on the card. Mogo also has a cool Queen St. W store front that you can come into and learn cool things about your money and check your credit score. Mogo also has personal loans up to $35,000 from 5.9% interest. The Tech startup of the year from TechVibes.com was another personal loan company named Grow. It also has personal loans amortized over 1-5 years stating at 4.8%. If you don’t need a loan right now you can sign up for a service called RateTracker and monthly it’ll email you what rate you would get from Grow depending on the amount you asked for and your credit score. You will know monthly if you are paying too much. 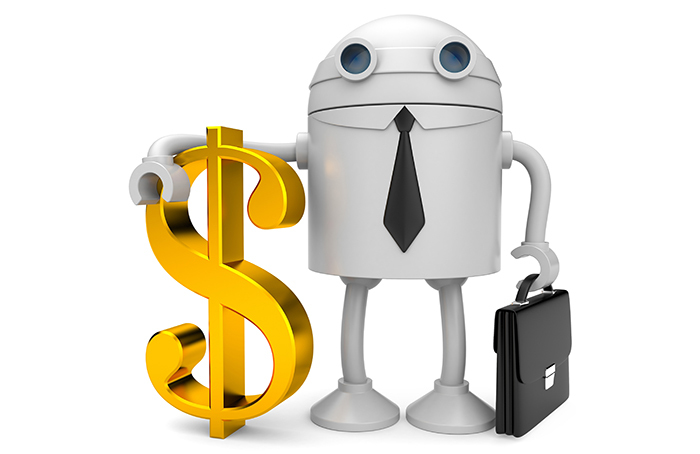 There are a ton of new robo-advisors popping up as well. Even the big banks and discount brokerages have been getting in on the game like BMO and Questrade. It was announced that Wealthsimple.com has reached over half a billion in assets in less than 2 years so over 15,000 Canadians have signed up. You can open an account right form their website. They also offer an app that let’s you monitor your investments daily and learn more about being smart with their money. They have a ultra hip, consumer benefit driven blog that includes stories from millennial heart throbs like Danny Levy and Elaine Lui. They will even bring a lunch to a group or office to talk to you about investing with them. Wealthsimple even won a 2016 Webby award this year for being the “best financial services website in the world”. There are quite a few online payment companies that are both B2B and B2C but the biggest news has been the entry of Apple Pay to all of the banks terminals. AMEX and CIBC have started to accept Apple Pay already but the rest are following suit. Soon most bank debit, Visa, and MasterCard will be on our iPhones making our physical wallets much leaner. It’ll just be a driver’s license and a pic of our Shih Tzu “Muffy” soon. The world of pens chained to bank counters is long gone. The last massive industry to be disrupted is officially disrupted by these fintech and tech companies. The revolution is not only here is is well on its way.